Real ale and craft beer enthusiasts will be able to raise a glass this month as Our Bury St Edmunds launches the town centre’s first official Ale Trail. Featuring 20 of the town’s licensed premises the trail gives people a chance to try ales brewed in the town itself or from further afield. A special map and brochure is being produced giving information about all the participating venues. It will be officially launched – and the trail declared open – on Monday February 26 at the recently re-opened One Bull pub on Angel Hill. The Ale Trail was the idea of Our Bury St Edmunds Director Heather Warren who owns Oakes Barn pub on St Andrews Street South. 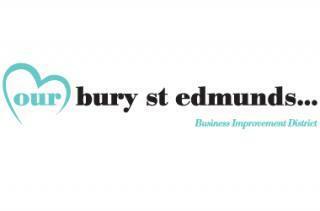 She’s worked closely with Our Bury St Edmunds Business Support and Marketing Officer Mike Kirkham to bring the concept to fruition. The launch later this month is by invitation only but the brochure will then be available at pubs and bars throughout the town centre, the tourist information point at The Apex and to download from www.ourburystedmunds.com.